The complex + unique nature of the construction industry demands a specialized HR approach. Custom recruiting plans focused on your company culture. EctoHR, Inc is a full-service human resource outsourcing and consulting firm, founded in 2005 to support organizations with various aspect of employee-related management and administration. EctoHR’s goal is to maximize performance while minimizing employment-related liability and improving the experience for its clients’ most important resource – the employees. to actively manage each client relationship. Other team members are often utilized to address specific HR challenges or to draw on certain industry specializations. From core compliance tasks to training and development of employees, clients rely on EctoHR to help them make effective personnel decisions, maintain compliance, control costs and ensure employee satisfaction. Every organization has its own unique culture. EctoHR strives to adapt to each client by understanding and reinforcing their values, processes and traditions. Clients can be confident knowing their company culture is top-of-mind as EctoHR supports their HR-related objectives. Our passion is helping people and companies. Professional Development StatementEctoHR employees devote 3% of their work time to advancing their knowledge through formal training and development activities. In 2017 alone, the EctoHR team personally invested 551 hours in formal training and development programs, with the ongoing goal of becoming an elite HR group. Corporate Social Responsibility StatementEctoHR, Inc. is committed to giving back to the communities in which we live and work. We strive to be an effective corporate citizen by encouraging volunteerism and financial giving by the Company and its employees. Through a combination of paid employee time for volunteer efforts and Company financial donations, EctoHR devotes at least 5% of its profits to non-profit causes. Steve has worked in the human resource field for the past 19 years, since graduating from the University of Michigan with a degree in Economics. Steve's experience includes all aspects of the hiring and employment process. Acting as a true business partner, Steve maintains focus on achieving the operational and financial goals of the company. Steve oversees the creation of employment-related policies and procedures designed to minimize client liability and has protected numerous businesses during terminations and/or Reductions-In-Force. Prior to founding EctoHR in December of 2005, Steve was the Director of Customer Service for a national Professional Employment Organization, in addition to holding positions with a payroll firm and an HR-related software Company. Previously, Steve served on the MISHRM state council and as the President of the Livingston Area Human Resource Association. He holds the SHRM-SCP certification and earns an average of 20 continuing education credits annually. Steve currently serves as the Immediate Past-President of the board of directors for the Livingston County United Way. Erica earned her Bachelor of Science degree in Human Resource Management from Central Michigan University and holds the Professional in Human Resources (PHR) and SHRM-CP Certifications. Erica began her career at EctoHR in May of 2011 and has focused on compliance, HR operations and administration, recruiting and general HR consulting. While Erica works across all industries, she has developed a specialty in the construction industry. Prior to EctoHR, Erica worked for an accounting and auditing firm for several years, giving her an additional specialization in payroll, the accounting industry, and office administration. In 2018, Erica completed the Future Construction Leaders of Michigan program and is currently a member of the AGC of Michigan’s Construction Leadership Council. Colleen graduated from the University of Michigan in 2011 with a Bachelor of Arts degree in Communications and Psychology and obtained her Professional in Human Resources (PHR) and SHRM-CP Certifications in 2014. 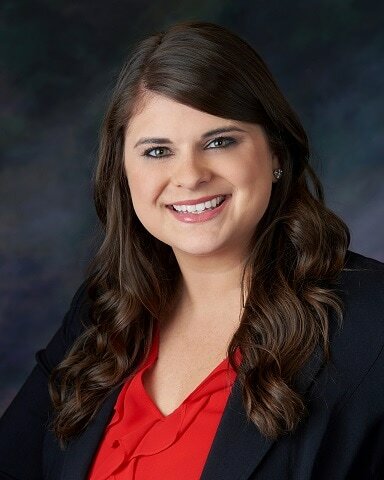 Colleen began her career working for the Detroit Red Wings as an Intern in Public/Community Relations and got started in recruiting at The Birmingham Group before joining EctoHR in January of 2012. Colleen has considerable experience working with construction industry clients, general business clients, trade associations, and municipalities. She focuses on organizational and employee development planning, performance management, training, compensation benchmarking, compliance, and recruiting. Colleen is currently a member of Michigan Vistage and is also a certified Everything DiSC trainer and facilitator. Christy’s experience includes 15 years of managing the HR functions of large groups of employees in customer-facing positions across multiple locations. Christy joined EctoHR in 2008 and her primary focus is on employee relations, training and development, and workplace investigations. EctoHR’s clients rely on Christy’s experience with FMLA, ADAAA, COBRA, ADEA and other employment laws. She holds the Senior Professional in Human Resources (SPHR) and SHRM-SCP certifications and is also a Certified Facilitator for the 5 Languages of Appreciation in the Workplace. In 2003, Christy received her Bachelor of Business Administration in Human Resources from Western Michigan University and the Lee Honors College. 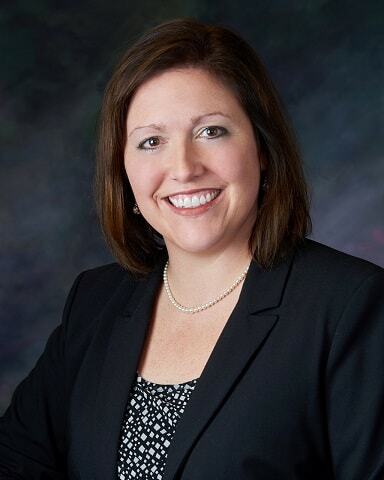 She is a Past President of the Livingston Area Human Resource Association, a member of 100 Women Who Care about Livingston County and a Trustee of the Howell Public School Board. With experience as the VP of Human Resources for RL Polk and Owens-Illinois, Tim knows the importance of HR planning, sound employment policies, compensation plans, and general workforce management. Tim has expertise in employee separations and defending employee wrongful discharge and discrimination claims. 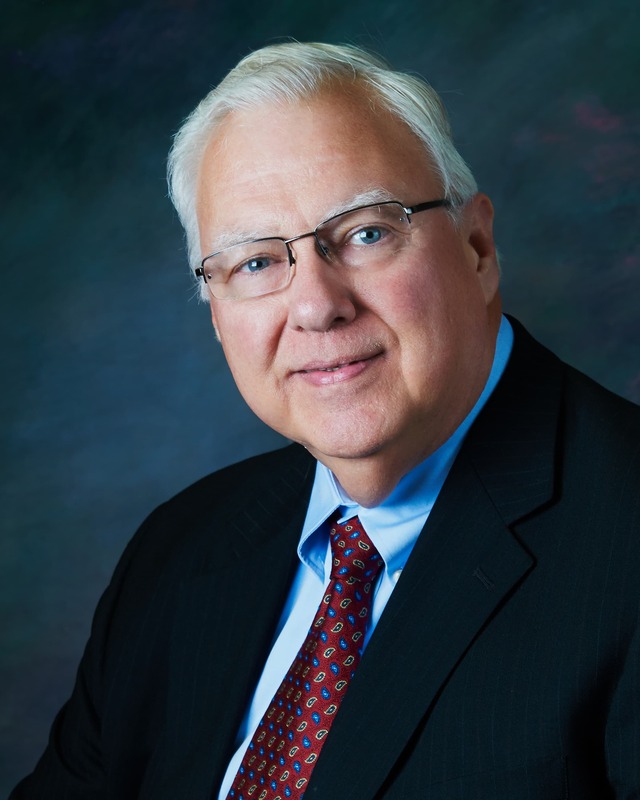 Tim provides EctoHR and his clients with the wisdom that comes with more than 40 years of strategic business consulting on legal, HR and financial matters. Organizations of all sizes benefit from an outside perspective on their practices, especially when it comes to the management of their employees. Combining a compliance checklist with other critical areas for review and key performance and management indicators, EctoHR brings best practice benchmarking to its clients. EctoHR’s approach includes an onsite review of employee documents and in-person meetings with key executives and managers from the client teams. All HR audit work is completed by a team of experienced HR professionals with a current client base of over 80 companies, and over 200 prior client engagements against which to assess HR practices. Depending on the size of organization and the specific industry, clients may be facing significant compliance challenges. Even for smaller employers, the laws and potential risks increase almost daily. EctoHR’s audits are designed specifically to highlight and remedy immediate exposures. Basic/Core Compliance such as required postings, personnel file structure, and employment-related documents. Employee Relations Challenges including employee complaints, disciplinary action histories, and workplace investigations. Employment Policies including in-depth review and creation of handbooks, compensation agreements, EEO and Affirmative Action Plans, pre-employment screening, and other policies and practices. Payroll and Compensation Practices, such as compensation benchmarking, identifying FLSA classification issues, wage and hour concerns, commission agreements and strategies, and more. Professional Development Planning and Performances with an emphasis on the employee experience, career pathing, and development of talent. Despite efforts to recruit talented and experienced people from competitors or related industries and fields, the reality is that the most significant return on investment comes from resources focused on training and developing the team already in place. According to a 2012 report published in the Harvard Business Review, young managers responding to a survey indicated that training and development rated as a 4.5 on a 5 point scale, with 5 being most important as it relates to the support they receive from the company. Conversely, when asked to rate their employers’ delivery of training and development, responses averaged under 3.0 on a 5.0 scale. This study alone shows the gap between employee expectations and employer delivery. The impact of the training and development gap goes beyond just developing the skills and abilities of the team. It permeates into corporate culture, leading to failed retention with the highest potential employees. develop Training and Development plans that align with corporate culture and goals. From setting budgets to delivering training modules directly and recommending experts in specific areas, our team is focused on developing your team. In 2012, the EctoHR team personally invested over 500 hours in formal training and development programs, with the ongoing goal of becoming an elite HR group. The world of complex and continuously changing employment laws can often leave employers feeling overwhelmed. EctoHR, Inc. develops and reviews its clients’ policies to maximize employee performance and ensure compliance with the law. Whether creating an employee handbook from scratch, drafting a non-disclosure/non-solicitation agreement or conducting a complete review of all policies, EctoHR provides prompt compliance support and policy development based on experience reviewing hundreds of businesses in a variety of industries. TO LEARN HOW ECTOHR'S COMPLIANCE SUPPORT AND POLICY DEVELOPMENT SERVICES PROTECT AND ADVANCE CLIENT ORGANIZATIONS, CALL 810.534.0170. Unlike other companies, EctoHR is neither temp agency nor headhunter. We recruit directly on behalf of our clients as if we are part of their internal organization. EctoHR assesses each client's individual needs and creates a customized recruiting plan to meet their requirements. One of our key strengths is the ability to match required skills and abilities with a culture fit, all within the constraints of the budgeted compensation range. Key Differentiators between EctoHR and traditional recruiting firms: EctoHR provides recruiting services on an hourly fee basis, with a project-based cap, so you know you will never exceed your recruiting budget. Typical industry charges are 20-30% of first year salary, with the contingency fee model leading to recruiters pushing sub-par candidates onto their “clients” just to generate a fee! EctoHR's average fee across all positions is just over 15%. And with our pricing structure, we're not motivated to put just any warm body in a seat to earn our fee. Additionally, we never recruit for competing businesses at the same time. This means that a client like The Buckley Jolley Real Estate Team never has to worry about EctoHR hiring for one of its competitors in Livingston County. TO FIND OUT HOW TO GAIN THE RECRUITING EDGE OVER YOUR COMPETITORS, CALL US AT 810.534.0170. With core competencies in recruiting sales, customer service, construction, operations, and jack of all trade positions, EctoHR helps high-growth companies hire for a variety of positions. There are two groups of employees - those on the way in and those on the way out - that pose the most significant risk to businesses without providing much upside. The alphabet soup of potential claims includes EEO, ADAAA, FMLA, ADEA, DOL and many more, all of which create a complex web of concerns. EctoHR places special emphasis on the handling of terminations and communication with former employees. Business needs and conditions may call for a reduction in force, but when handled improperly, companies face substantial liability. Using consistent processes and effective communication after the termination reduces the exposure for the employer. Regardless of the actual cause, any former employee may feel wrongly terminated when faced with such a significant event. When an employer considers significant legal fees and potential court awards, there is little doubt that using EctoHR's termination consulting is sound business strategy. To learn how EctoHR's hiring and termination consulting services can Benefit a business, call 810.534.0170. EctoHR specializes in the background screening of potential new hires. Whether it's a simple criminal history check or a complete review of employment, education, and reference checking, EctoHR has the experience and systems to provide you with the records you need to make an informed decision. Our pre-employment screening packages can be tailored to any industry and any position. As the demand for talented employees increased, many employers began taking short cuts during the recruiting process. Regardless of how a candidate was referred to an employer or the position for which the candidate may be hired, it is always worth it to invest time and money in a background check. Across all positions, EctoHR identifies a potentially flagged criminal, employment or education result on approximately 6.5% of all background checks. the next person you choose to hire, call 810.534.0170 to speak with one of the HR professionals at EctoHR. The EctoHR team believes so strongly in the importance of background checks that it is willing to give one away. With no pushy sales people to bombard you, this truly is a no-obligation offer. When a company has employees ranging from general laborers to highly specialized engineers, it requires dynamic human resources support. Factor in fluctuating market demands, rapidly changing technology and compliance requirements expanding by the day, and you have an industry that demands proven HR practices. Since its inception, EctoHR has focused on the construction industry because it continues to be an employee-centric field. Employers compete heavily with one another for the top talent, always looking to recruit someone with proven experience in a given specialty, established business contacts or cutting-edge technology or market knowledge. EctoHR partners with construction companies on a variety of HR functions including compliance-based audits and services, risk management consulting and the recruiting of top talent in the field. All EctoHR services are designed to allow clients to focus on the primary goal - safely completing projects on time and on budget. EctoHR’s current client list includes companies working on projects across the United States and in a variety of specialties. Whether exclusively self-performing trade work or providing GC and CM services to various owners, construction industry clients can count on EctoHR to speak their language and know their business. Our team is committed to being the lead HR resource in the construction industry. As the construction industry continues to change, EctoHR will expand its partnerships with proactive companies, helping strengthen their core product - their people. Within technical sales and service–focused organizations, staff performance drives the success of the company, including dictating the flow of income for the entire company. The EctoHR Team knows that hiring the right sales person does not mean finding someone who just talks a good game and interviews well. It requires finding ethical and driven performers that consult with clients and partners, understand the technical jargon of the industry and remain focused on building and sustaining relationships that will impact the bottom line. Given the 24/7 demands and the sheer volume of activity that is required, effective communication continues to be the primary differentiator. These are only a few of the items for which candidates are screened. EctoHR also takes into account candidate experience, personality and sales acumen, making sure they align with the Company’s needs. As employers already know, these qualities are not easily found on job boards or in the unemployment line. More so than any position, EctoHR’s screening process proves its value in the recruiting of sales people. The process includes assessments of communication, formal and proven candidate profile tools, thorough reference checking, and real-world interview techniques to mirror the hurdles your sales team faces every day. Another inherent value-added service that EctoHR offers is the ability to advise clients on fair and attractive compensation packages. By having a pulse on local market conditions and industry drivers, EctoHR takes a lot of the guesswork out of presenting a desirable candidate with a competitive offer. Hiring is a significant investment, but the right employee allows the Company to generate a bigger return on investment with a shorter ramp-up time to enjoy the returns. EctoHR has direct experience partnering with Governmental and Quasi-Governmental organizations, in addition to trade associations, non-profits, and other Board-run entities. The team at EctoHR has an in-depth understanding of governance and organizational structure, the Open Meetings Act, and the specific challenges faced by leaders working within a Governmental unit or Board-led environment. In many cases, the people responsible for the HR functions and strategy in these organizations are not truly HR experts, and therefore may not be up-to-date on key strategies, regulations, and laws that may have a significant impact. Our staff provides a unique combination of experience, education, and knowledge with a team approach to support all our clients’ human resource needs. Trusting the EctoHR team to address the strategic HR needs provides clients with a cost-effective solution and allows leadership to focus on other Organizational priorities. EctoHR currently serves several Townships, trade associations, and Quasi-Governmental organizations in various capacities. From full scope HR services to On- Demand or Project work, the professionals at EctoHR are ready to help. With high growth and changing client demands being enough of a challenge, Josh Bopp, the President of Scottsdale-based focusIT, Inc., did not want to worry about HR compliance and administration. As a thriving small business, focusIT needs to maintain its identity as an "employer of choice" so that its productive and reliable team continues to be just that...productive and reliable. Josh specifically wants to maintain a nearly 100% remote-office setup while building a true team approach to serving the client base of over 500 companies and 10,000 end-users. As Josh researched HR outsourcing firms in 2006, he learned that the team at EctoHR had a proven history of working with remote-office or multi-location businesses and could manage nearly all of his HR-related tasks. Fast forward to 2018 - focusIT has continued to grow and now develops its own SAAS product offerings and employs 15 people with various skill sets. Josh relies on EctoHR to process payroll, administer benefit packages, facilitate performance reviews, and support recruiting efforts. EctoHR interfaces directly with focusIT's accounting firm, insurance agencies and carriers, and has become an integral part of the focusIT team. To learn more about focusIT and its solutions, visit www.focusitinc.com. “EctoHR allows me to concentrate on growing my business vs. managing the details surrounding our HR needs. They are an invaluable part of our organization and have been one of the reasons why we’ve been able to consistently grow our business for the last 10 years. Built on the foundation of safety, quality and demanding work, Augusta Tower Technologies, Inc. has steadily climbed to new heights in its 10 years. 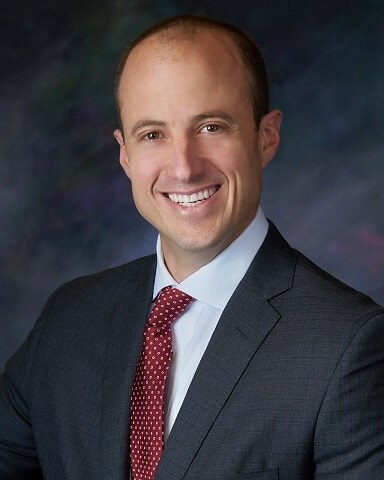 Ryan Mason, the President of ATTI, researched multiple industries and businesses before settling on the exploding area of cell phone technology construction services. As an entrepreneur and a natural tradesman, Ryan knew that ATTI’s success would hinge on building a productive and safe team. Additionally, the ATTI management team must maintain constant focus on risk management as they grow their business in one of the most challenging niche markets there is. As ATTI established its internal support/office team, EctoHR supported the recruiting of office personnel and the transition of duties from EctoHR to the ATTI staff. Additionally, the EctoHR team interfaces directly with ATTI’s other business partners, including their CPA firm, Property and Casualty agency and carriers, and other valuable business partners. To learn more about Augusta Tower Technologies and its solutions,visit www.augusta-tower.com. -Ryan Mason, Augusta Tower Technologies, Inc. When helping nearly 200 families per year buy or sell a home is the goal, spending time reviewing resumes and phone screening applicants is not a profitable use of time. In September 2009, Todd and Karen asked EctoHR to find the best potential candidates for their team and a partnership between the two companies has been solid ever since. By following a proven process and maintaining a firm grasp of the mission and culture of The Buckley Jolley Real Estate Team, EctoHR has produced consistent results for The Buckley Jolley Real Estate Team over the years. To find out how to gain the recruiting edge over your competitors, call us at 810.534.0170. To learn more about The Buckley Jolley Real Estate Team and its solutions, visit www.buckleyjolley.com. EctoHR, Inc. is a Human Resource outsourcing and consulting firm, providing services to companies throughout the United States. Our clients rely on a full range of HR services so they can focus on effectively running their business. THE ECTOHR APPROACH UTILIZES A DEDICATED PROJECT MANAGER to actively manage each client relationship. Other team members are often utilized to address specific HR challenges or to draw on certain industry specializations. From core compliance tasks to training and development of employees, clients rely on EctoHR to help them make effective personnel decisions, maintain compliance, control costs and ensure employee satisfaction. EctoHR employees devote 3% of their work time to advancing their knowledge through formal training and development activities. In 2017 alone, the EctoHR team personally invested 551 hours in formal training and development programs, with the ongoing goal of becoming an elite HR group. EctoHR, Inc. is committed to giving back to the communities in which we live and work. We strive to be an effective corporate citizen by encouraging volunteerism and financial giving by the Company and its employees. Through a combination of paid employee time for volunteer efforts and Company financial donations, EctoHR devotes at least 5% of its profits to non-profit causes. Steve has worked in the human resource field for the past 19 years, since graduating from the University of Michigan with a degree in Economics. Steve's experience includes all aspects of the hiring and employment process, with a specific history of success finding employees that match the culture and mission of his clients. Acting as a true business partner, Steve maintains focus on achieving the operational and financial goals of the company. Steve also oversees the creation of employment-related policies and procedures designed to minimize client liability and has protected numerous businesses during terminations and/or Reductions-In-Force. Prior to founding EctoHR in December of 2005, Steve was the Director of Customer Service for a national Professional Employment Organization, in addition to holding positions with a payroll firm and an HR-related software Company. Previously, Steve served on the MISHRM state council and as the President of the Livingston Area Human Resource Association. He holds the SHRM-SCP certification and earns an average of 20 continuing education credits annually. Steve currently serves as the President of the board of directors for the Livingston County United Way. Erica earned her Bachelor of Science degree in Human Resource Management from Central Michigan University and obtained her Professional in Human Resources (PHR) and SHRM-CP Certifications in 2014. Erica began her career at EctoHR in May of 2011 and has focused on compliance, HR operations and administration, recruiting and general HR consulting. While Erica works across all industries, she has developed a special focus in the construction industry. Prior to EctoHR, Erica worked for an accounting and auditing firm for several years, giving her an additional specialization in payroll, the accounting industry, and office administration. 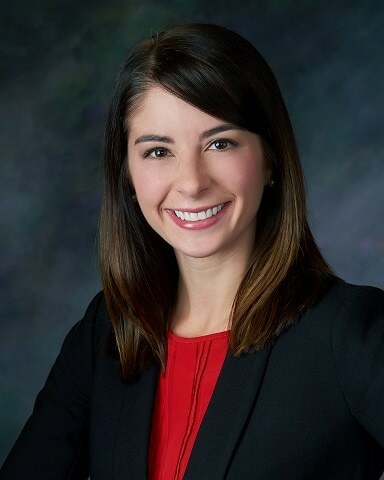 In 2018, Erica completed the Future Construction Leaders of Michigan program and is currently a member of the Construction Leadership Council, both of which are programs facilitated through the AGC of Michigan. Colleen earned her Bachelor of Arts degree in Communications and Psychology from the University of Michigan and obtained her Professional in Human Resources (PHR) and SHRM-CP Certifications in 2014. Colleen began her career working for the Detroit Red Wings as an Intern in Public/Community Relations and got started in recruiting at The Birmingham Group before joining EctoHR in January of 2012. Colleen has considerable experience working with construction industry clients, general business clients, trade associations, and municipalities. She focuses on organizational and employee development planning, performance management, training, compensation benchmarking, compliance, and recruiting. Colleen is currently a member of Michigan Vistage and is also a certified Everything DiSC trainer and facilitator. Christy’s experience includes nearly 15 years of managing the HR functions of multiple locations with large groups of staff in customer-facing positions. Christy joined EctoHR in 2008 and her primary focus is on employee relations, staffing challenges and solutions, performance management and workplace investigations. Additional areas of expertise for Christy include FMLA, ADAAA, COBRA, ADEA and nearly every other HR related acronym our clients encounter. She holds the Senior Professional in Human Resources (SPHR) and SHRM-SCP certifications. Christy has led large teams through culture changes when mergers and acquisitions occur and communicates effectively in front of large groups, regardless of the sensitivity of the topic at hand. In 2003, Christy received her Bachelor’s of Business Administration in Human Resources from Western Michigan University and the Lee Honors College. She is a Past President of the Livingston Area Human Resource Association and volunteers with local Livingston County non-profits as often as she can. During his time with large employers, including positions as the VP of HR for RL Polk and Owens-Illinois, Tim learned the importance of human resource planning, sound employment policies, compensation plans, and general workforce management. Tim has expertise in employee separations and defending employee wrongful discharge and discrimination claims. Tim's entire focus is on protecting the financial and personal interests of businesses and business owners. Tim provides EctoHR with the wisdom that comes with more than 40 years in successful businesses as well as its legal support, including contract interpretation, financial management, and business direction. TTO LEARN HOW ECTOHR'S COMPLIANCE SUPPORT AND POLICY DEVELOPMENT SERVICES PROTECT AND ADVANCE CLIENT ORGANIZATIONS, CALL 810.534.0170. TO FIND OUT HOW TO GAIN THE RECRUITING EDGE OVER YOUR COMPETITORS, CALL US AT 810.534.0170. With core competencies in recruiting sales, customer service, construction, operations, and jack of all trade positions, EctoHR helps high-growth companies hire for a variety of positions. EctoHR places special emphasis on the handling of terminations and communication with former employees. Business needs and conditions may call for a reduction in force, but when handled improperly, companies face substantial liability. Using consistent processes and effective communication after the termination reduces the exposure for the employer. Regardless of the actual cause, any former employee may feel wrongly terminated when faced with such a significant event. When an employer considers significant legal fees and potential court awards, there is little doubt that using EctoHR's termination consulting is sound business strategy. TO RECEIVE A COMPLIMENTARY BACKGROUND CHECK ON the next person you choose to hire, call 810.534.0170 to speak with one of the HR professionals at EctoHR. The EctoHR team believes so strongly in the importance of background checks that it is willing to give one away. With no pushy sales people to bombard you, this truly is a no-obligation offer. As ATTI established its internal support/office team, EctoHR supported the recruiting of office personnel and the transition of duties from EctoHR to the ATTI staff. Additionally, the EctoHR team interfaces directly with ATTI’s other business partners, including their CPA firm, Property and Casualty agency and carriers, and other valuable business partners. To learn more about Augusta Tower Technologies and its solutions,visit www.augusta-tower.com.